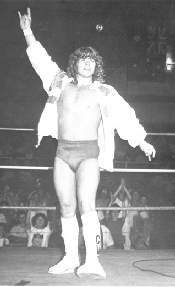 Chris von Erich was last of five sons of Jack Adkisson to turn pro in the wrestling business..
Chris von Erich had asthma and was disheartened to know that he’d never be the athlete his famous brothers were. 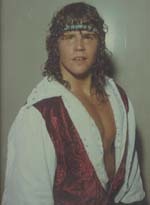 Chris von Erich idolized his older brother Mike von Erichand did everything that Mike wanted him to do. A young Chris von Erich would often get involved and may be remembered most for whacking Michael Hayes with a chair! Chris von Erich had to take a form of steroids that stunted his grown and caused his bones to become brittle..
September 12, 1991: Chris von Erich committed suicide by shooting himself when he was only 21.